Abraham Lincoln was the 16th President of the United States and one of the greatest American champions in history. He was born in Kentucky on February 12, 1809 to a humble family. They relocated to Indiana in 1817, and shortly afterwards, Lincoln’s mother died when he was only 9 years old. His father remarried a widow who was a very kind mother to Lincoln and encouraged him to learn, despite the fact that neither she nor her husband were literate. Lincoln did not receive much formal education; the only schooling he received was at the age of 18 for about a year and a half but this did not discourage him from learning. He made every effort to learn on his own, and because there were no libraries or schools in the premises, he would often walk for miles to borrow books to read. At the age of 22, Lincoln separated from his family to find his own way in the world. He did various jobs such as a manual laborer, shopkeeper, postmaster, and general store owner. He was a tall, genial and well liked figure amongst the local populace so when the Black Hawk War broke out between the United States and the Native Americans in 1832, he was chosen as the captain and representative of his area. During this time, he made important political connections and decided to enter the field of law. Lincoln taught himself law and was admitted to the bar in 1837. In 1840, he met and got engaged to Mary Todd who was highly educated and belonged to a distinguished family. The couple separated briefly but were married in November 1842. They had four children but only one survived childhood. In 1844, Lincoln entered into a law partnership with William Herndon. He entered politics briefly and became a Congressman, serving one term in the House of Representatives from 1847 to 1849. Lincoln was the only American president who held a patent to his name. It originated in his days as a teenager in Indiana when he would spend his time boating across the rivers of the Midwest. While working for a cargo company, his ship got stuck on the Mississippi River while moving some cargo. Lincoln immediately jumped to action along with the others, and they managed to safely remove the cargo to another boat. However, it led him to think about improving technology in the shipping industry. A similar incident occurred in 1848, this time while Lincoln was a passenger on a boat and also a Congressman. The captain ordered the crew to place anything that could float and support weight (like empty cargo containers, for instance) underneath the boat in an effort to lift it. Lincoln believed this was the key to this problem and he patented the idea, calling it “Buoying Vessels Over Shoals”. He received Patent No. 6469 on May 22, 1849. Although Lincoln actively promoted his idea, and thought it would greatly benefit the shipping industry, it never took root and was not tested or manufactured commercially. To date, however, he does remain the only American President to hold a patent that officially recognizes him as an inventor. Lincoln’s interest in politics was re-ignited after the U.S. Congress passed the Kansas-Nebraska Act in 1854, which gave each state the right to decide on the slavery issue on their own. The Republican Party was formed at that time and Lincoln joined it in 1856. In 1857, the Supreme Court issued a controversial ruling in the case “Scott v. Sanford” which basically declared that African Americans had no inherent rights as citizens. Lincoln felt strongly about the slavery issue and decided to challenge the current Senator Stephen Douglas for his seat. A heated debate ensued between the candidates that was covered heavily by the media. 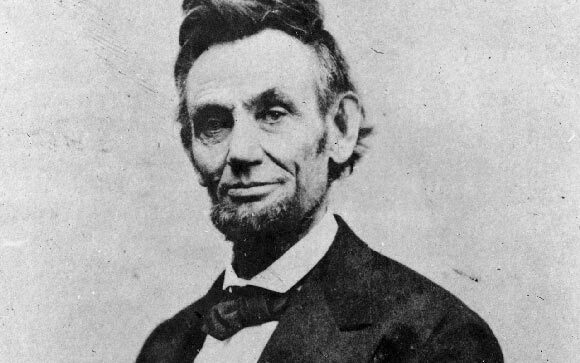 Although Lincoln lost the contest, he gained valuable exposure in the political arena. Thus, in 1860 he was elected as the Republican Candidate for President due to his strong personality and moderate views on slavery. He won the election and was inaugurated in March 1861. His term as President lasted 4 years but ended abruptly after he was assassinated at the age of 56 in April 15, 1865, by an actor named John Wilkes Booth. During his term as President, he faced a raging Civil War but he handled it with the skill and wisdom of a true leader, and issued the Emancipation Proclamation in January 1863. This was effectively the most crucial decision in the abolishment of slavery and Lincoln will forever be remembered in the annals of history for bringing about this monumental change.